A fun themed Valentine box of chocolates gift hop 2017 – free crochet patterns! I, Joanita @Creative Crochet Workshop and Mistie@American Crochet have been working extremely hard to bring you a FREE crochet pattern #GiftHop starting January 17th and ends on February 9th. Visit us every Tuesday and Thursday for the next part of the Valentine Box of Chocolates Gift Hop! Fun chocolate named crochet patterns that will be perfect to give as sweet Valentine gifts! 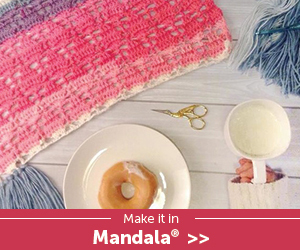 Give a special crochet treat this Valentine’s Day! Fill a cute little sock or little baskets with the goodies you know your special one will enjoy!